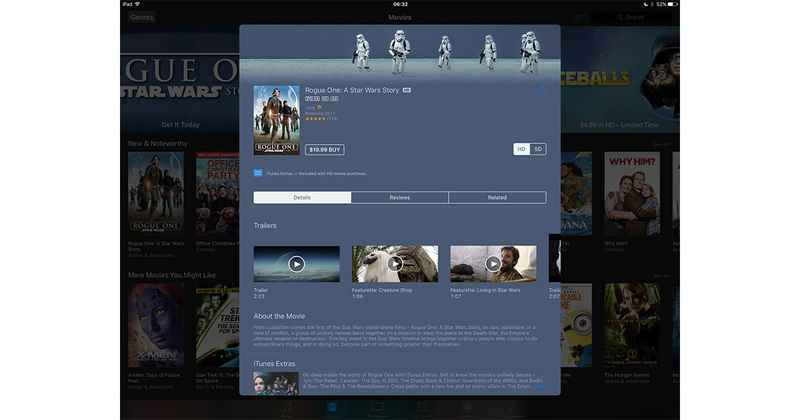 It’s March 24th, and that means you can finally buy Rogue One: A Star Wars Story on Apple’s iTunes Store. Rogue One details the events leading up to the original Star Wars movie and follows the Rebels tasked with stealing the Death Star plans from the Empire. The movie is available in HD and SD, and includes plenty of extras. You can get your copy for US$19.99.